Spoil a special Mum-to-be with a pregnancy massage gift voucher. The ‘Hawaiian Style’ of pregnancy massage I do is both effective and wonderful. It is the perfect combination of remedial-focused solutions to provide relief from prenatal-related physical discomfort wrapped in a beautiful, nurturing, and deeply relaxing massage, including beautiful long-flowing strokes inspired by the Hawaiian Lomi Lomi massage that I specialize in. It’s the perfect gift of pampering & care for your partner, friend, or colleague with a baby on the way. 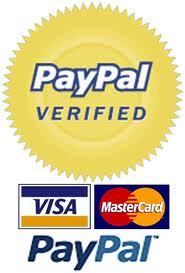 You can order your massage gift voucher(s) quickly and easily right now via PayPal. Once I receive your order notification I will create your customized digital PDF massage gift voucher(s) and send to your PayPal email address (unless you specify a different email in the PayPal checkout) within a few hours, but typically much sooner. My gift certificates are beautifully designed and print out perfectly on a home printer OR you can simply forward it on to the recipient via email. NOTE: The 60-minute and 90-minute Pamper Packages include: pregnancy massage, peppermint foot scrub, and lavender scalp massage as treatment enhancements. The 120-minute package includes all of the above in addition to beautifully warmed, silky smooth Hawaiian basalt stones which are used during the massage for the ultimate relaxation and blissful experience. Alternatively if you’d prefer to order your massage gift voucher over the phone via credit card, please feel free to call me direct on 0407 774 552. I’ll be happy to take your order personally and answer any questions you may have. I’m sure the recipient of this gift voucher will just love their massage with me. Rest assured that I will take very good care of them and ensure that they are comfortable and safe and that their massage experience is truly enjoyable.